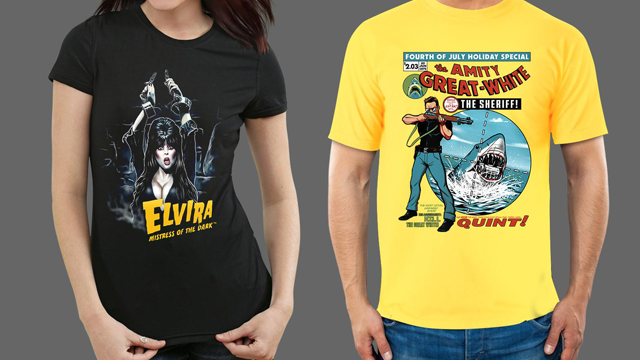 Whether you’re spending Valentine’s Day alone or with a significant other, Fright-Rags’ latest releases from Elvira, My Bloody Valentine 3D, and The Warriors will make any horror fan’s heart swell with joy. 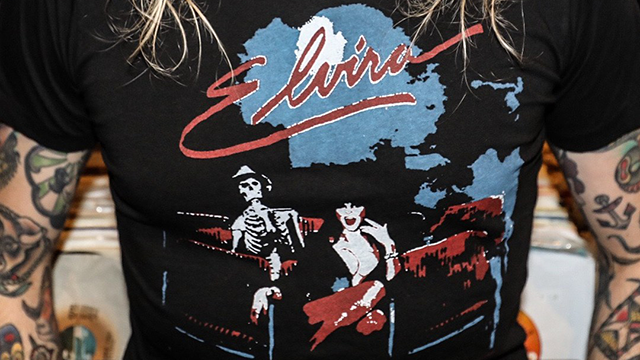 Pick up an official Elvira or Vincent Price t-shirt from your Local Boogeyman. If I were gonna haunt somebody, they would certainly be the t-shirts I’d do it in! 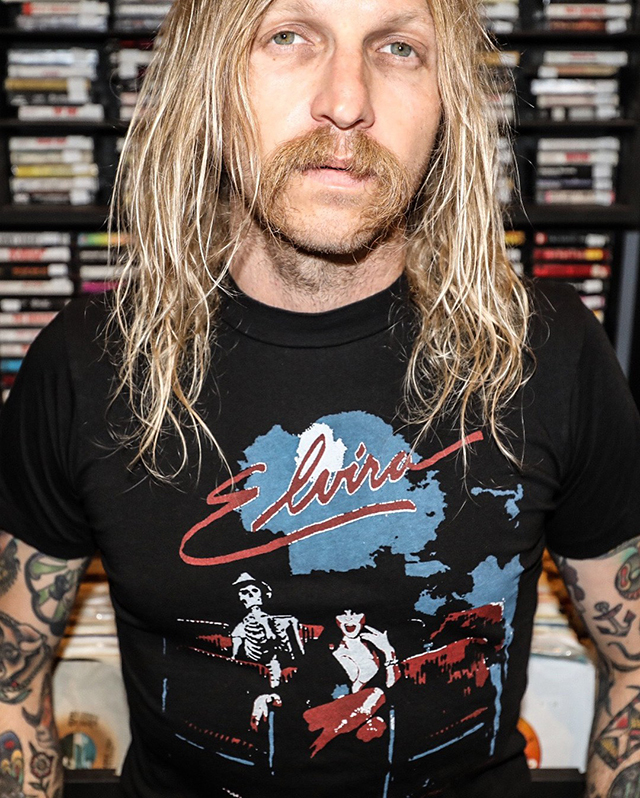 Join Cavity Colors Monster Club as we head down to Elvira Home Video Horror, for the Mistress of the Dark’s killer recommendations! 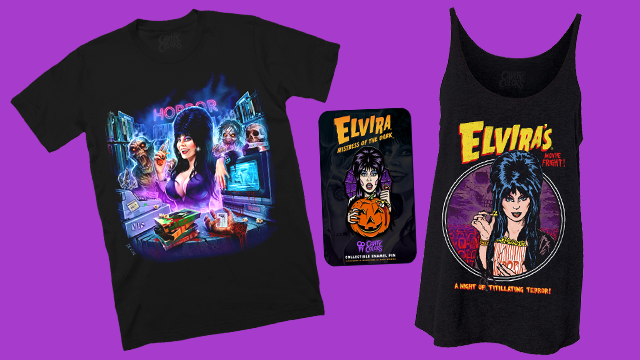 Don’t forget to pick up a t-shirt, a brand new Creepy Carver enamel pin, and patches of the scream queen herself, Elvira, Mistress of the Dark. 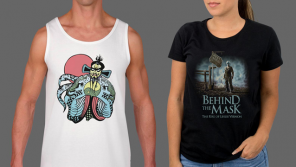 You’re gonna need a bigger wardrobe with Fright-Rags’ ever-growing line of horror apparel. Before you head out to Amity Island, it’s time to expand your summer wardrobe with Jaws apparel. Then fall approaches… Evil. Terror. Lust. 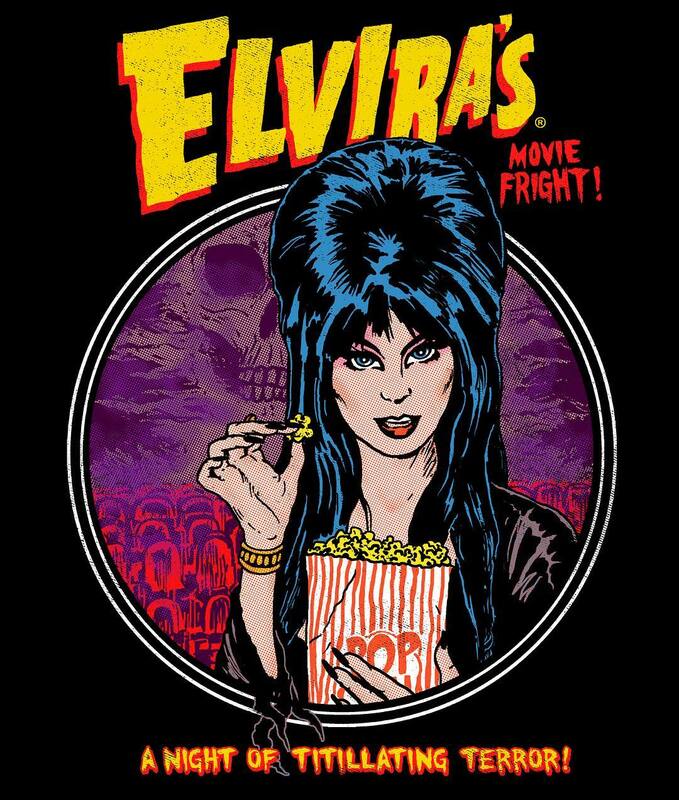 Some girls really know how to party, so be prepared for the Halloween season with Elvira, Mistress of the Dark tees.